Till now, it has announced 9 blogs, which cover topics ranging from coffee to software tips, from landscape design to visual art, from law and Humanities to extreme sports. If all of them as are interesting as the visual art blog, xizhaojie (which produced the images above), and the coffee blog (noted by Jason here) it looks like a high quality network. 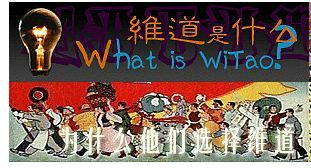 Witao will be in competition with the already established blogku, whose blogs focus on film, digital, and game media.